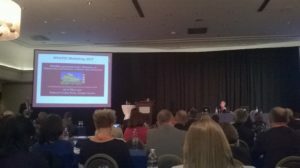 The 24th IPFA/PEI International Workshop on “Surveillance and Screening of Blood-borne Pathogens” was held in May 16-17, in Zagreb, Croatia and gathered180 participants, among doctors, industry and patient representatives. IPOPI was pleased to be represented on this important event by Board Member Ms Dragana Koruga. This year’s Workshop program was focused on product safety, pathogen dettection and innactivation, interesting aspects to the broader primary immunodeficiencies community. The Pathogen Inactivation Session highlighted the importance of technology efficacy, its impact on product function and relevance in future portfolios of safety interventions. The main message conveied was the change from pathogen reduction to the pattogen inactivation in blood transfusion in research and industry approaches. One of the speakers, Dr M. Cardoso from the company Terumo BCT, highlithed that all stakeholders should the patient’s needs and adapt their approaches to blood transfusion management. Patients who depend on blood and/or plasma products to remain healthy expect to be totally protected. The session on Impact of Regulatory Requirements for Screening promoted a lively discussion between stakeholders on the development of In Vitro Diagnostics for emerging infectious diseases, including future prospects for “rationalising” the use of Pathogen Inactivation, Nucleic Acid Testing and Serological intervention strategies. There was a good discussion among doctors, industry and regulatory officers on how to harmonise strong requests for product safety, patients’ wellbeing and strategies. The 25th IPFA/PEI 2018 Workshop will be held in Athens, Greece, May 16 – 17, 2018.